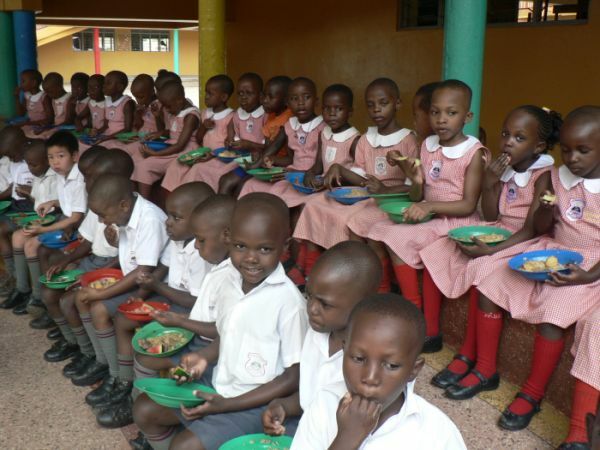 The Federal Government’s National Home Grown School Feeding Programme will commence in the Federal Capital Territory (FCT) in January with a target to feed 120,300 pupils. Programme Manager, NHGSFP-FCT, Mrs Victoria Aleogena, disclosed this in an interview with the News Agency of Nigeria (NAN) in Abuja on Wednesday. Aleogena, who is also Deputy Director, School Health, FCT Education Secretariat, said that the pupils would be drawn from 626 public primary schools across the six area councils of the FCT. She said the pupils would be fed once daily with meals containing the six required nutrients from primary 1 to 3. She urged vendors, community leaders and all stakeholders in the FCT to assist the Federal Government in lifting burdens off indigent parents who could not afford balanced diets for their wards. “Hopefully, the school feeding programme will kick start in FCT come January 2019. But what we are currently doing is preparatory. “We have done the state level sensitization and that was to tell the FCT residents that the programme is basically coming out. “We are carrying everybody along, parents, teachers, traditional and community leaders who are the gatekeepers, and the vendors who will prepare the meals. “It is a good thing that the Federal Government in its wisdom is feeding Nigerian pupils because it is happening in other states. “The programme in FCT is for pupils in LEAs. In FCT we have 626 primary schools and as at 2018/2019 academic session we have 120,300 that will be benefitting from this programme from January,” she said. She also gave the assurance that the process of selecting the 1,200 vendors needed to handle the feeding would be transparent and based on high standard to ensure good hygiene. “We have told the would-be vendors to go and collect forms. These forms are free, all they need to do is to get to the LEA secretary in the area councils and collect it. “The only thing expected of them is to affix a passport photograph and that’s the only cost they will bear. They also need either a civil servant or a traditional ruler to attest for them. “For the recruitment, we are in partnership with the Public Health Department of the FCT, they are responsible for the conduct of the food handler’s test. They have an international standard for handling of public foods and this will be done purely on merit. “This process will give us about 1,200 vendors to cover the six area councils of FCT based on their experience, track records and capacity. We normally engage extra vendors to take care of possible gaps when the programme starts running,’’ she said. She said a feedback mechanism involving the head teachers, health teachers and the class teachers of each school was being put in place. “We are in the process of training the head teachers, health teachers and class teachers in each school. These three people will be responsible for the day-to-day monitoring of the feeding in their respective schools. “They are responsible for the generation of data and information, punctuality of vendors and adherence to the meal timetable,’’ she said. She said that the meals would include bread and beans, egg and jollof rice, yam and sweet potato porridge, rice and beans with fish and various types of fruits. Meanwhile, Maryam Uwais, the special adviser to the president on national social welfare programme, on Monday, November 5, said the federal government feeds pupils with 6 million eggs and 594 cows weekly under its National Home Grown School feeding programme. Uwais disclosed this in Abuja, when she received a delegation from the Democratic Republic of Congo (DRC) on a study tour of Nigeria to learn from the social intervention programmes in the country.